A programme for ambitious students who want to combine the numerical, analytical and design skills of engineering with an in-depth understanding of business. 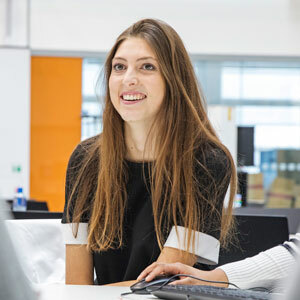 Taught jointly by the Schools of Engineering and Materials Science and Business Management, this programme draws on the strengths of each to help you develop both engineering expertise and business acumen. The business modules are designed specifially for this programme, and you will be taught alongside other mathematicians, engineers and scientists. In the first year you’ll take specialist engineering modules, while learning the fundamentals of finance and business management. In the second and third years you will choose modules from a wide range of aerospace engineering subfields and expand your knowledge of business strategy, analytics and entrepreneurship. I think being a student in London is great - and being a student at Queen Mary is perfect. You can enjoy the benefits of a relaxed campus experience whenever you want, and enjoy the vibrant city of London whenever you want.